Imagine your own oceanfront oasis complete with hammock, tropical gardens, lovely furnishings and complete amenities for an island escape. Villa Ganshi is my newest property and she shines. The gentle trade winds blow through the open air residence. The owners had comfort in mind when they designed and decorated this escape. Enjoy diving or snorkeling in your front yard. Walk to my favorite French restaurant, Bistro de Paris or if you prefer, Argentinian steak at Patagonia. Town is a 15 minute walk along the seaside promenade. 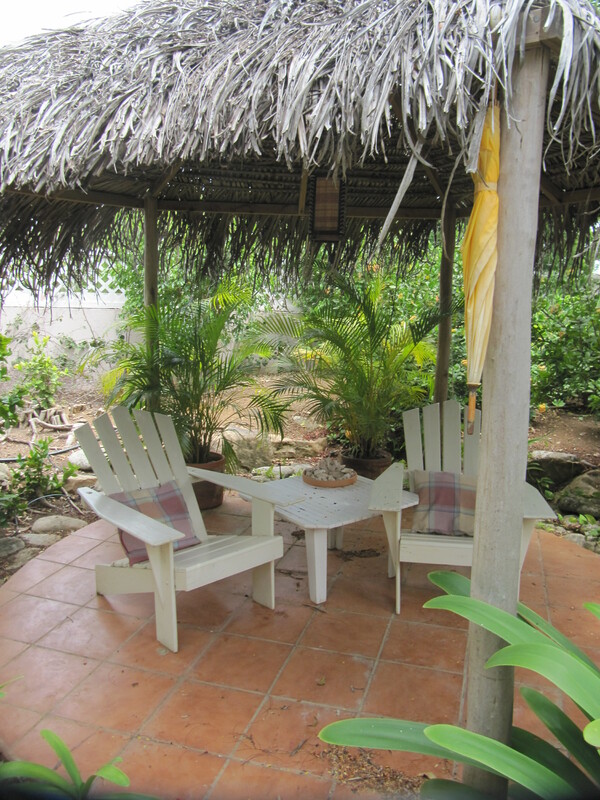 Our villa of the month is the Yellow House on Lac Bay. 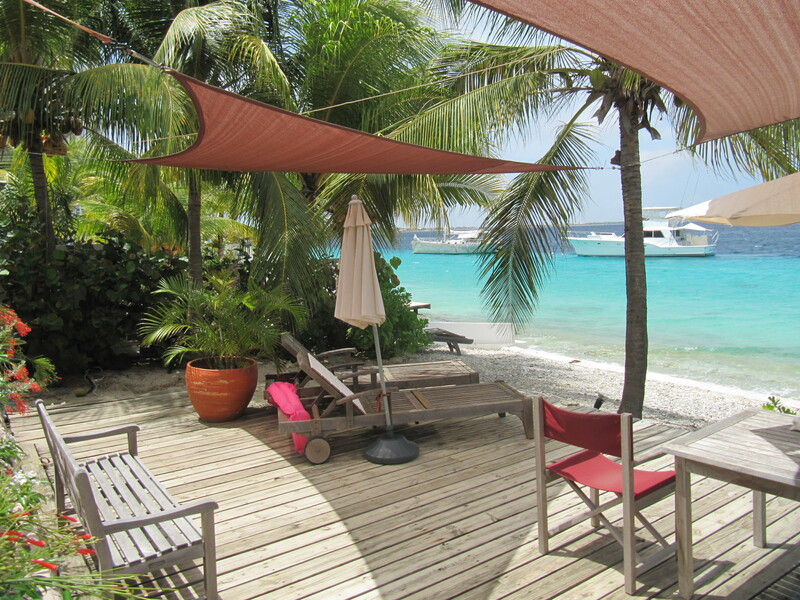 This lovely property is the perfect escape for a windsurf family or group. 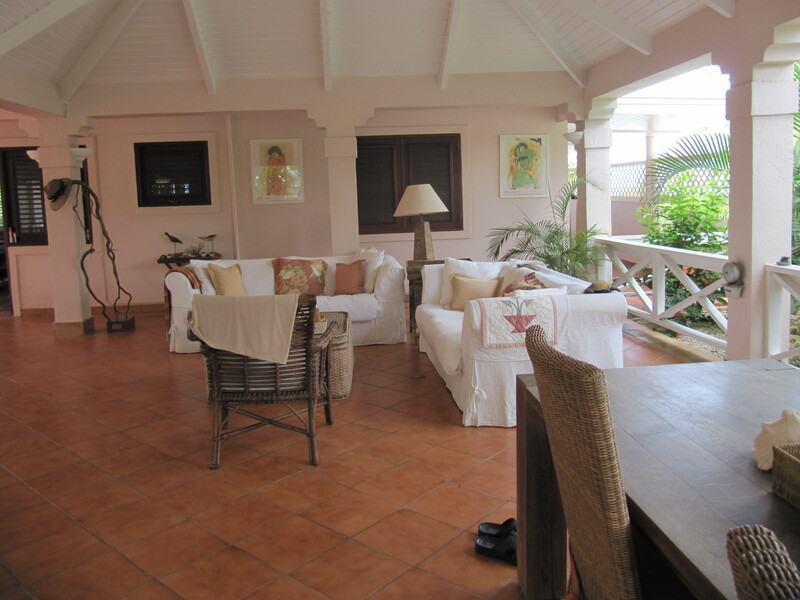 The villa is situated amidst a lovely tropical mature garden. Attached to the living room is a private porch perfect for reading, cocktails or coffee. 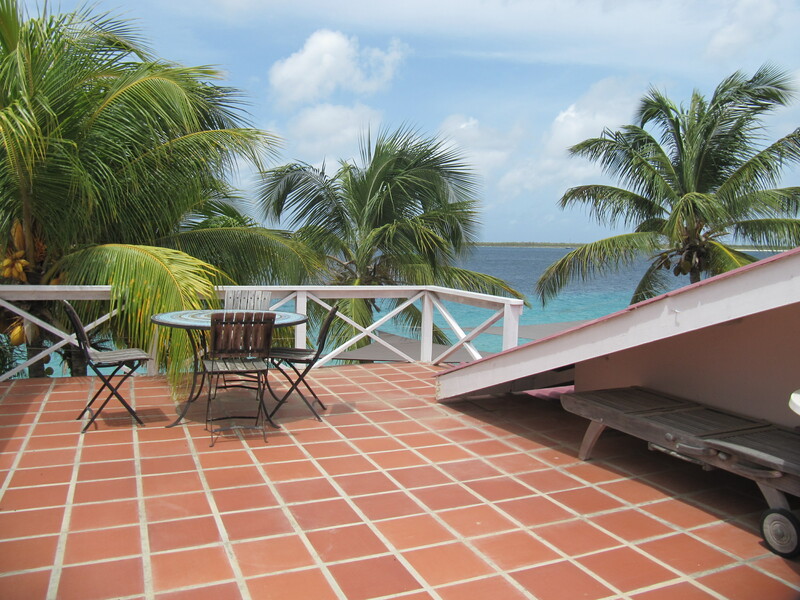 The second floor offers access to a private sun deck with beautiful views of the bay and mangroves. 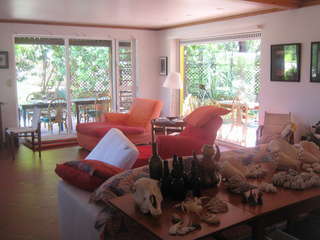 The house is fully furnished and features lovely art enhancing the mood. There is a well equipped kitchen. 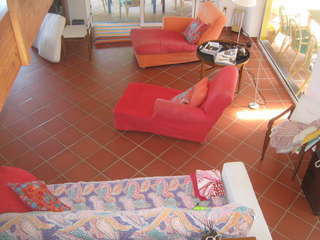 This private house is suitable for 6 persons. There are 3 bedrooms, one master bedroom with queen sized bed on ground level with private bathroom with shower and toilet and two bedrooms with both a queen sized bed on second floor, sharing a bathroom with shower and toilet. All beds can be made as twin-beds. Each bedroom has air conditioning. There is a lovely gourmet restaurant next door for sumptuous breakfasts, casual bay view luncheons and romantic candlelight dining. Our windsurf launch is minutes away. 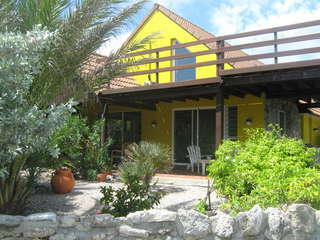 Yellow House is managed by Miriam and Martin, of Kontiki. Their management services are second to none. Contact Caribbean Wind & Sun Vacations at 800-219-0118 or email Ann Phelan, the windsurf vacation specialist at ann@bonairewindsurfing.com. 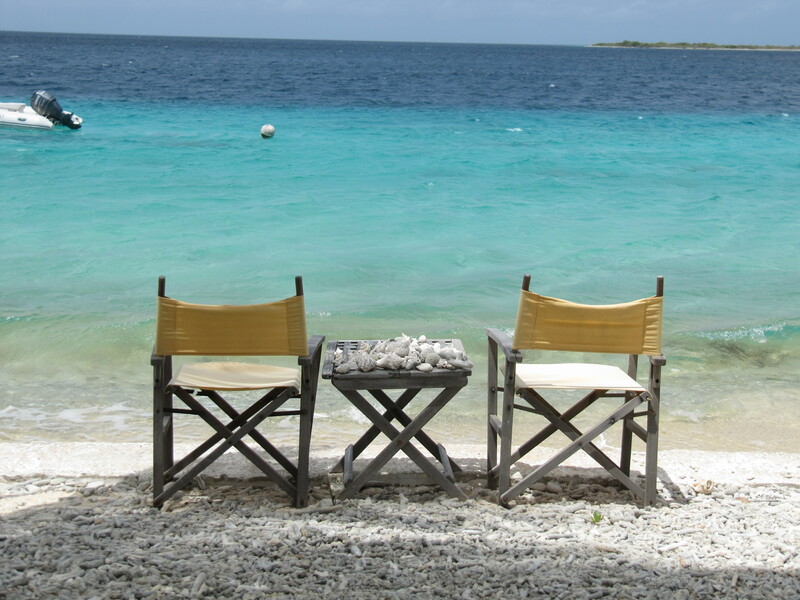 Windsurf packages are available with discounts and specials.